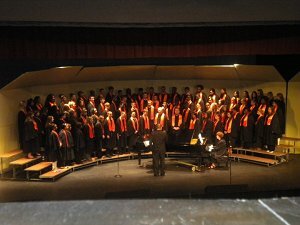 The Sharon City School District has nearly 500 students grades 7-12 that participate in the choral program. Under the direction of Frank McCauley, the multiple choirs have several performances throughout the school year. Below you will find a description of each group and this years performance dates. The choirs are accompanied by Maureen Murray and choreographed by Nathan Matt. This group is made up of 101 Juniors and Seniors that take vocal music seriously. 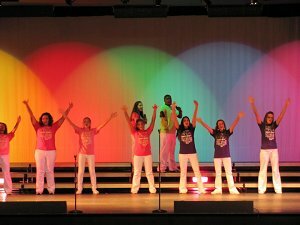 They perform a wide variety of Choral literature and participate in PMEA festivals and our area Mercer County festivals. This choir will participate in the Holiday Concert, Music in the Month of March Concert, and Spring Concert which will include a second half choreographed song set. Chamber Choir is a select ensemble of students that individually audition for this 24 member group. This elite group focuses on advanced choral literature and is mostly unaccompanied by instruments. They will perform throughout the community as well as for Sharon"s Holiday and Spring Concerts. Sharon's show choir has been an important tradition of the school for many years. This Singing and Dancing ensemble is made up of 28 auditioned students and performs before and after the regular school day. They will have several performances throughout the community and in Sharon"s concerts. 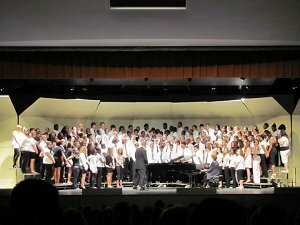 Mixed Chorus is made up of 150 ninth and tenth grade students. This group is continuing to build choral basics and participate in the Holiday concert and the Spring concert. These groups are working on building choral techniques active singing each day. They are learning fundamentals of good choral singing and sing a variety of Choral literature. They will participate in their own Holiday and Spring Concerts.